Background: ß-carbolines, harmaline and harmine, are the major alkaloids presenting in the seeds of the Peganum harmala L. These alkaloids are known as herbal active principals with potential use in pharmaceutical and medicine. Objectives: To assess the growth inhibitory effect of phyto-alkaloids, harmaline and harmine, on cancer cell lines. Methods: The P. harmala L.’s alkaloids were extracted by acidic/basic extraction method and identified by two methods, Fourier Transform Infra-Red Spectroscopy (FTIR) and High Performance Liquid Chromatography (HPLC). Two breast cancer cell lines, MDA_MB_231, Mcf-7, were subjected to different concentration (1–100 μg.ml-1) of the P. harmala extract at different time courses (24h, 48h, and 72 h). Methylthiazol Tetrazolium (MTT) test, the half maximal inhibitory concentration (IC50) and the morphological changes through optical microscopy were evaluated. Results: In both studied cell lines, the P. harmala extract decreased cell viability in longer time exposure in a dose dependent manner. The more concentrated extract led to higher motility of MDA-MB-231 at 24h. Although, Mcf-7 cell line required longer exposure time has to reach the same motility. It was observed that 30 μg.ml-1 is the minimum lethal dose that kills approximately 50% of cells at 24 hours in MDA-MB-231 cell line (IC50). IC50 for Mcf-7 were calculated 40 μg.ml-1 and 25 μg.ml-1 at 48 h and 72 h, respectively. The morphological observation ensured the apoptosis nature of P. harmala on cells as their membrane kept intact and no membrane permeabilization was observed. Conclusions: The results revealed that the P. harmala extracts decreased significantly growth rate and cell survival of cancer cell lines. The extract induced cell death regarding natural cell growth rate. MDA-MB-231 cell line naturally has a higher growth rate than Mcf-7 cell line, so higher growth inhibition of MDA-MB-231 cell line by the P. harmala extract was confirmed. Herbal medicine has been used for centuries to treat many different health conditions and now a day they are receiving increased attention as they are cheap, locally available and with less side effects. In a study estimated that 60-80% of antibacterial and anticancer drugs were derived from natural products . Peganum harmala L. (a genera from family of Nitrariaceae), also known as Syrian Rue, is a medically herb distributed over semi arid areas of North-West India, North-Africa and central Asia. This plant is known as “Espand” in Iran, “Harmel” in North Africa and “African Rue”, “Mexican Rue” or “Turkish Rue” in United States . The flowering period is March to April. The fruits are globose capsules with 3 chambers containing numerous small dark brown, 3-4 mm long seeds . The fruits are used as analgesic and antiseptic in folk medicine  and recent pharmaceutical studies proved antibacterial and anti-protozoa of P. harmala [4,5]. It has been reported that this plant provides anti-tumor effect, vasorelaxant effects, anti-HIV, anti-oxidant activity, immune-modulator properties, and hypoglycemic effects [3,6] . It has been revealed that some of the pharmacological effects of P. harmala may be ascribed its β-carboline alkaloids and quinazolin derivatives . Alkaloids, flavonoids and anthraquinones are the main phyto-chemical compounds from P. harmala. β-carboline a like harmaline, harmine, harmalol, harmol and tetrahydroharmine are the main alkaloids presenting in P. harmala. Herraiz et al. (2010) identified that different parts of plant contains different percentage of the aforementioned alkaloids for example, seeds and roots containing the highest levels of alkaloids however, stems and leaves containing lower amount, and flowers have no alkaloids. Herraiz confirmed that harmine and harmaline accumulated in dry seeds at 4.3% and 5.6% (w/w), respectively, harmalol at 0.6%, and tetrahydroharmine at 0.1% (w/w) and roots contained harmine and harmol with 2.0% and 1.4% (w/w), respectively . Harmaline (dihydro-ß-carboline alkaloid) and harmine (full aromatic ß-carboline alkaloid) are the major alkaloids presenting in the seeds and the root of the P. harmala L. , inhibit monoamine oxidase A (MAO) as a main in-activator of monoaminergic neurotransmitters which is responsible for a number of neurological disorders [7,9]. Moreover, harmine showed significant tumor inhibition in mice bearing Lewis Lung Cancer, sarcoma180 or HepA tumor . Cancer as one of the main public health problem in the world, is second leading cause of death following heart disease . In economically developed and developing countries, breast cancer in females and lung cancer in males are the most common diagnosed cancers . Breast cancer is a complex and heterogeneous disease with both genetic and environmental risk factors. The incidence and mortality rates of this cancer have been rising in many African and Asian countries , therefore studying about breast cancer is crucial to promote world health, significantly. The breast cancer cell lines are classified based on histological type, tumor grade, lymph node status and the presence of predictive markers such as estrogen receptor (ER) and human epidermal growth factor receptor 2 (HER2) . Breast cancer cell lines, such as MDA-MB-231, SKBR-3, MCF-12A, HBL101, MDA-MD-435, MCF-7, HS598T , are frequently used for basic cancer researches. The growth-inhibitory effect of Terminalia chebula fruit was confirmed on several malignant cell lines including MCF7, S115, HOS-1, PC-3, and PNT1A cancer cell lines by Saleem et al. (2002) . Riva et al. (2001) has studied the antiproliferative effects of Uncaria tomentosa extracts and its fractions on the growth of breast cancer cell line MCF7 . Hostanska et al. (2004) has studied the antiproliferative activity of C. racemosa extracts (isopropanolic and ethanolic) on the estrogen receptor positive MCF7 and estrogen receptor negative MDA-MB231 breast cancer cells by WST-1 assay . The positive effects of aqueous extracts of 12 Chinese medicinal herbs, Anemarrhena asphodeloides, Artemisia argyi, Commiphora myrrha, Duchesnea indica, Gleditsia sinensis, Ligustrum lucidum, Rheum palmatum, Rubia cordifolia, Salvia chinensis, Scutellaria barbata, Uncaria rhychophylla and Vaccaria segetalis were evaluated for their antiproliferative activity on eight cancer cell lines by Shoemaker et al. (2005). Furthermore, alkaloids such as vinblastine, vincristine and ellipticine have been used as potent anticancer agents . Tumor cells were killed by these alkaloids via different mechanism, such as induction of apoptosis, inhibition of topoisomerase I and II [20-22]. Alkaloids of P. harmala, including harmine and harmaline are effective on the human promyelocytic cell line (HL60 cells) . In a study harmine inhibit the growth of tumor in mice bearing Lewis Lung Cancer, sarcoma180 and HepA tumor significantly . To date no studies have been carried out to verify the direct human-antitumor activity of the P. harmala’s extracts on breast cancer MDA-MB-231 and Mcf-7 cell line. In this study the alkaloids of P. harmala L. seeds containing herbal active principals, harmine and harmaline, were extracted and purified. Two techniques, FT-IR and HPLC, have been used to identify them, precisely and their effects on two cancer cell lines, MDA-MB-231 and Mcf-7 has investigated. P. harmal seeds were collected from the mountains of Shahrekord, Chaharmahalo Bakhtiari province and Mashhad, Khorasan Razavi province, Iran. The grinded p. harmala seeds were mixed up with 50 mL glacial acetic acid (30% (w/w)) and were stirred for 30 minutes at low speed. The mixture was then filtered through Buchner funnel and Whatman filter paper (No. 5) while had been washing up with 20 mL glacial acetic acid (30% (w/w)) once more. The filtrate was washed three times with petroleum ether: ethyl acetate (1:1) to remove the organic impurities in separator funnel. The aqueous layer was collected and plenty of sodium hydroxide 10 M to reach a cloudy appearance. The organic part which contains alkaloids mainly hamaline and harmine was captured in chloroform phase (100 mL x three times) in a separator funnel. The solvent was removed by means of rotary evaporation, finally. The HPLC analysis was performed using Cecil 1100 series (Cecil Inst., Ltd., Cambridge, United Kingdom) equipped with an 1100 series pump and UV absorbance detector and a column oven (CTS-30 Younglin, Korea) to detect Cyclomaltooctadecaose (CD18), a cyclic oligosaccharides composed of 18 D-glucose units. The mobile phase consisted of potassium phosphate buffer (10 mM pH 7) and acetonitrile (50:50 v/v) with flow-rate 1.5 ml.min-1 at room temperature (25 ˚C). Individual stock solutions of harmine and harmaline (Sigma, USA) were prepared at five concentrations of 100-1000 µg.ml-1 in methanol and used to draw standard curve. Fourier Transformation Infrared Spectroscopy spectra were recorded on FT-IR spectrophotom­eter (BRUKER, Germany) using KBr discs. The P. harmala extracts (2 μL) were coated on the KBr discs to form thin liquid films for infrared spectrometry analysis. The discs were ap­proximately 5 mm in diameter and 1 mm in thickness. The instrument was operated under dry air purge, and the scans were collected at scanning speed of 2 mm.s-1 with resolution of 4 cm−1 over the region of 4000–400 cm−1. Two human breast Carcinoma cell lines MDA-MB-231 and Mcf-7 were donated by Dr. Mosa Gardaneh and Eng. Azin Gholami (NIGEB). MDA-MB-231 cell line is negative for ER, PR and HER2 and positive for EGFR, however, Mcf-7 cell line is positive for estrogen receptor (ER) . Cancer cell lines were cultured in DMEM medium with 100 U.ml-1 of penicillin, 100 μg.ml-1 of streptomycin, and 10% fetal bovine serum (FBS). The cells were grown at 37˚C in a humidified 5% CO2 incubator. 3-(4,5-Dimethylthiazol-2-yl)-2,5-diphenyltetrazolium bromide (MTT), harmine (286044-1G), harmaline (51330-1G) were purchased from Sigma; DMEM, Trypsin, and FBS were purchased from Invitrogen-Life Technologies. The viability of cultured cell lines was determined by MTT assay, which is based on the reduction of a tetrazolium salt by mitochondrial dehydrogenase of viable cells. Cell lines were seeded (8000 cells/well) in 96 well plate and incubated for 24 h at 37 °C in 5% CO2 incubator then, different concentrations of P. harmala’s alkaloid extract (1, 10, 20, 30, 40, 50, 60, 80 and 100 μg.ml-1) were added to each well and the plate was incubated for 24, 48, and 72h. After incubation, 20 μL MTT (5 mg.ml-1) was added to each well to attain a total reaction volume of 200 μL. The plate was then kept in the incubator for further 5 h. Then, the medium was depleted and formazan crystals, which appeared in the last incubation step, were dissolved in 200 μL of dimethylsulfoxide. The percentage of viable cells was determined through the different absorbance of analytes and controls read by ELISA plate reader at 580 nm. Statistical analysis was performed using SPSS (Statistical Package for Social Sciences). Analysis of Variance (ANOVA) for repeated measures and Duncan’s test were performed to detect changes among the groups. Results are means ± SD for at least three replicate determinations for MTT test. Differences with p-values < 0.001 were considered significant. P. harmala seeds were subjected to acidic/basic extraction to achieve their alkaloids content. Seeds and roots of P. harmala contain higher alkaloids content, in contrast leaves and stems contain the lowest amounts and flowers have no alkaloids. Harmaline and harmine are the major alkaloids presenting in the seeds (4.3 and 5.6 % (w/w)) and the root of the P. harmala L., however, harmalol and tetrahydroharmin are 0.6 and 0.1 % (w/w) . Therefore, when the extract is identifying by two methods, FTIR and HPLC, we are recording two alkaloids, harmaline and harmine, for their absolute higher concentration (figures 1 – 2). To detect the concentration of harmaline and harmine in the extract of P. harmala, the calibration curves were plotted as shown in Figure 3. The inhibitory effect of P. harmala extract on two breast cancer cell lines was tested by Methylthiazol Tetrazolium (MTT) assay. The MTT tetrazolium salt colorimetric assay measures cytotoxicity, cell proliferation, and cell activation. The level of MTT cleavage by viable cells relatively addresses the increment of cell numbers during the time. It has been approved that the cell numbers increases non-linear. In contrast, the cell death follows another rule, a time-linear approach during MTT incubation (24). Cancer cell lines, MDA-MB-231 and Mcf-7, were exposed to nine concentrations of P. harmala extract (1, 10, 20, 30, 40, 50, 60, 80, and 100 μg.ml-1) for three days to assay the inhibitory effect of the extracts on cancer cell growth. The half maximal inhibitory concentration (IC50) used to measure the suppression of cell growth for cancer lines cancer lines at different time intervals 24h, 48h, 72h. Therefore, it was observed that 30 μg.ml-1 is the conc. where 50% of cells die at 24 hours in MDA-MB-231 cell line (Figure 4A). The same concentration was calculated for longer exposure times, 48 h and 72 h, approximately. Furthermore, the inhibitory effect of the extract on Mcf-7 growth rate was not significant at 24 h even in most concentrated treatment (100 μg.ml-1), which does not meet the IC50 (Figure 4B). In this cell line, it seems that the longer exposure time has a meaningful effect on cell death. 40 μg.ml-1 and 25 μg.ml-1 were calculated for IC50 at 48 h and 72 h, respectively. These findings confirm that both concentration and exposure time have significantly effects on Mcf-7 growth inhibition through treating with P. harmala extract. Finally, the morphological changes of cells were studied by optical microscopy to distinguish either apoptosis or necrosis is responsible for cell death (Figure 5). The arrows in the figure 5 indicate the round shape of the cells in both untreated and treated cell lines MDA-MB-231 and Mcf-7 with different concentration of P. harmala extract observed under optical microscopy, 100X. Herbs, as a natural/green resource with variety of uses including culinary and medicinal, have received a lot of attention in all centuries. But recently they are studied for their proper effect on some nominated disease [15-18]. Of them, P. harmala L., a known folklore medicine containing several alkaloids, have used to prove its anti-cancer effect [7, 25 - 26]. In this study, we isolated the alkaloid extraction of P. harmala seeds and identified its component by means of two analytical methods, FTIR and HPLC. Although, different alkaloids are reported to be presented in P. harmala extract i.e. harmol, harmalol, harmine and harmaline , we detected harmine and harmaline as the major component of the extract by FTIR. Our further analyses with cell lines address these two major components as the most responsible factors for such results. Figure 1C demonstrate the absorbance of the P. harmala extract compared with harmine and harmaline standards (Figures 1 A and B) at fre­quency region of 4000 – 400 cm-1. The spectrum of P. harmala extract was in accordance with harmine and harmaline standards and the absorptions of P. harmala extract at different wave numbers, 1072, 1237, 1455, 1624 and 3072 referred to different functional groups (C-H), (C=O), (C=N), (OCH3), (C-N), respectively. HPLC analysis used to separate the P. harmala extract components and compared the results with the standard solutions of harmine and harmaline. The chromatograms approved the presence of harmine and harmaline as their retention time at 8.07 and 5.32 min, respectively were according the standard solution (Figures 2A, B, and C). Further analysis of HPLC indicated that harmaline has higher concentration in the P. harmala extract. By means of plotting calibration curves, concentration of 640 μg.ml-1 and 189 µg.ml-1 for harmaline and harmine, respectively were indicated. It is reported that harmine and harmaline have similar pharmaceutically equivalent action; however, harmine is supposed to be less poison; therefore it has more advantageous to be used in cancer therapy. In the present research we used total P. harmala alkaloids extract to show its effectiveness against growth of two breast cancer cell lines, in vitro. The results of proliferation inhibitory rate analysis (Figures 4A and B) confirmed that the more concentrated extract we used, the more potential in cell growth inhibitory reached. However, time of exposure, as another parameter plays an important role in increasing efficiency of cell growth suppression. Although we had to conclude this parameter as a function of other parameters, since time of exposure did not provide significant difference when treating MDA-MB-231 with P. harmala extract as the suppression of cell growth for cancer line MDA-MB-231 occurred in lesser time (24h) comparing Mcf-7. In contrast, exposure time seems to be crucial in case of treating Mcf-7 with P. harmala extract, in precise longer exposure time decreased cell growth rate more vigorously especially at 72 h. Considering 30 - 40 μg.ml-1 of the extract as IC50, it is to conclude that concentration of the extract has greater importance than time of exposure to provide higher cytotoxic effect and cell death. Besides, it is worth to note that MDA-MB-231 cell line naturally has a higher growth rate than Mcf-7 cell line may explain higher growth inhibition of MDA-MB-231 cell line by the P. harmala extract. Other studies regarding breast cancer cell line treatment took advantage of hormone replacement therapy. Hostanska et al. 2004 found that proliferative activity and cell killing occurs when they exposed MCF-7 and MDA-MB231 against isopropanolic and ethanolic extracts of Cimicifuga racemosa . The effective dose for IC50 has been calculated 80.6±17.7 μg.ml-1 in MCF-7 cells and of 58.6±12.6 μg.ml-1 in MDA-MB231 cells when ethanolic extract was used. Their results confirmed apoptosis mode of cell death according microscopic inspection and further analysis. Even more, the morphological changes in cell shape investigated under optical microscopy revealed the lethal effect of P. harmala extract on cancer cell line could be a kind of cell death, apoptosis, as no membrane permeabilization was observed and cells kept their membrane intact. However, we believe other apoptotic parameters at molecular level (caspase activation, cytochrome c release, and oligonucleosomal DNA fragmentation) should be followed to confirm this observation. The similar results by Zhao and Wink, 2013 indicate that harmine induces senescence process in cell which leads expedited cell death . Furthermore, our diagnosis on the apoptosis cell death is supported by Hostanska et al. 2004 , as well. In conclusion, the results of the current research address the anti-cancer effect of P. harmala L. to its alkaloid components mainly hamine and harmaline. The P. harmala extract exposure against two cancer cell lines, MDA-MB-231 and Mcf-7, showed cell growth inhibition and in higher concentration/longer time, complete cell death was occurred. Cell mortality rate and IC50 data confirmed dose/time-dependent inhibition effect of P. harmala on this cancer cell line. It is suggested to perform further studies to elucidate the mechanism of action of both harmine and harmaline on more human cancer cell lines and eventual use of these herbal active principle compounds in future anti-cancer pharmaceutical is considerable. All authors have participated equally in the present study. This work was financially supported by National Institute of Genetic Engineering and Biotechnology (NIGEB). 1. Harvey AL. Medicines from nature: are natural products still relevant to drug discovery? Trends Pharmacol Sci 1999; 20:196–8. 2. Mahmoudian M, Jalilpour H, Salehian P. Toxicity of Peganum harmala: Review and a Case Report. Iran J Pharmaco Therap. 2002;1:1- 4. 3.Asgarpanah J, Ramezanloo F. Chemistry, pharmacology and medicinal properties of Peganum harmala L. Afr J Pharmaco 2012;6:22:1573-80. 4. Rahimi-Moghaddam P, Ebrahimi SA, Ourmazdi H, Selseleh M, Karjalian M, Haj-Hassani G, et al. In vitro and in vivo activities of Peganum harmala extract against Leishmania major. J Res Med Sci 2011;16:1032–9. 5. Evans AT and Croft SL. Antileishmanial activity of harmaline and other tryptamine derivatives. Phytother Res 1987;1:25–7. 6. Patel K, Gadewar M, Tripathi R, Prasad S and Patel DK. A review on medicinal importance, pharmacological activity and bioanalytical aspects of beta-carboline alkaloid “Harmine.” Asian Pac J Trop Biomed 2012;2:660–4. 7. Herraiz T, González D, Ancín-Azpilicueta C, Arán VJ and Guillén H. β-Carboline alkaloids in Peganum harmala and inhibition of human monoamine oxidase (MAO). Food Chem. Toxicol 2010;48:839–45. 8. Jime´nez J, Rivero´n-Negrete L, Abdullaev F, Espinosa-Aguirre J, Rodrıguez-Arnaiz R. Cytotoxicity of the beta-carboline alkaloids harmine and harmaline in human cell assays in vitro. Experimental and toxicologic pathology: Exp Toxicol Pathol 2008;60:(4-5):381–389. 9. Kim H, Sablin SO and Ramsay RR. Inhibition of monoamine oxidase A by beta-carboline derivatives. Arch Biochem Biophys 1997;337:137–42. 10. Chen Q, Chao R, Chen H, Hou X, Yan H, Zhou S, et al. Antitumor and neurotoxic effects of novel harmine derivatives and structure activity relationship analysis. Int. J. Cancer 2005;11:675–82. 11. Siegel R, Naishadham D and Jemal A. Cancer statistics, 2012. CA: CA-Cancer J. Clin 2012;62:10–29. 12. Jemal A, Bray F, Center MM, Ferlay J, Ward E and Forman D. Global cancer statistics. CA-Cancer J. Clin 2011;61:69–90. 13.Holliday D and Speirs V. Choosing the right cell line for breast cancer research. Breast Cancer Res 2011;12;13:215. 14. Subik K, Lee J-F, Baxter L, Strzepek T, Costello D, Crowley P, et al. The Expression Patterns of ER, PR, HER2, CK5/6, EGFR, Ki-67 and AR by Immunohistochemical Analysis in Breast Cancer Cell Lines. Breast Cancer (Auckl) 2010;4:35–41. 15. Saleem A, Husheem M, Härkönen P and Pihlaja K. Inhibition of cancer cell growth by crude extract and the phenolics of Terminalia chebula retz. fruit. J Ethnopharmacol 2002;81:327–36. 16. Riva L, Coradini D, Di Fronzo G, De Feo V, De Tommasi N, De Simone F, et al. The antiproliferative effects of Uncaria tomentosa extracts and fractions on the growth of breast cancer cell line. Anticancer Res 2001;21:2457–61. 17. Hostanska K, Nisslein T, Freudenstein J, Reichling J and Saller R. Cimicifuga racemosa extract inhibits proliferation of estrogen receptor-positive and negative human breast carcinoma cell lines by induction of apoptosis. Breast Cancer Res Treat 2004;84:151–60. 18. Shoemaker M, Hamilton B, Dairkee SH, Cohen I and Campbell MJ. In vitro anticancer activity of twelve Chinese medicinal herbs. Phytother Res 2005;19:649–51. 19. Cragg GM and Newman DJ. Plants as a source of anti-cancer agents. J. Ethnopharmacol 2005;100:72–9. 20. Am S, Sa E and M M. An in vitro evaluation of human DNA topoisomerase I inhibition by Peganum harmala L. seeds extract and its beta-carboline alkaloids. Int J Pharm Pharm Sci 2002;5:19. 21. Funayama Y, Nishio K, Wakabayashi K, Nagao M, Shimoi K, Ohira T, et al. Effects of beta- and gamma-carboline derivatives of DNA topoisomerase activities. Mutat Res 1996;349:183–91. 22. Abe A and Yamada H. Harmol induces apoptosis by caspase-8 activation independently of Fas/Fas ligand interaction in human lung carcinoma H596 cells. Anti-cancer Drugs 2009;20:373–81. 23. Jo M, Kim TH, Seol DW, Esplen JE, Dorko K, Billiar TR, et al. Apoptosis induced in normal human hepatocytes by tumor necrosis factor-related apoptosis-inducing ligand. Nat Med 2000;6:564–7. 24. Gerlier D and Thomasset N. Use of MTT colorimetric assay to measure cell activation. J Immunol Methods 1986;94:57–63. 25. Lamchouri F, Zemzami M, Jossang A, Abdellatif A, Israili ZH, Lyoussi B. In vitro cell-toxicity of Peganum harmala alkaloids on cancerous cell-lines. Fitoterapia. 2013;71(1):50–54. 26. 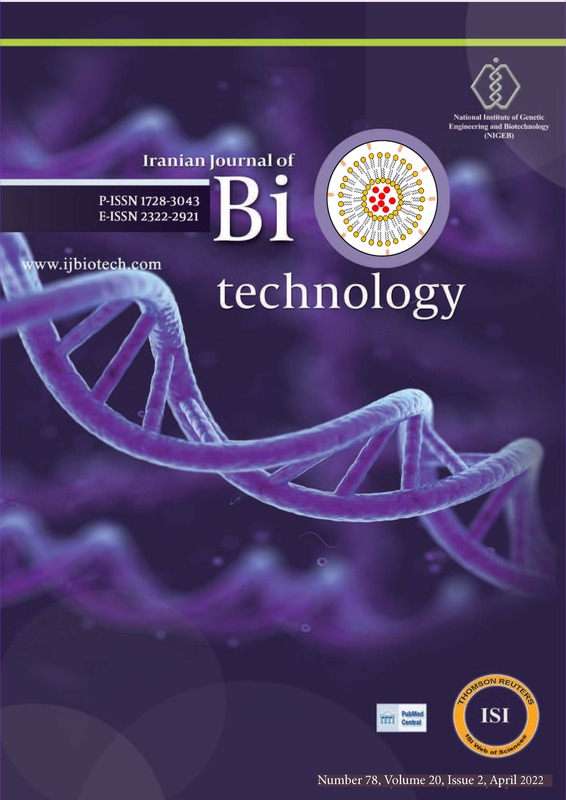 Sobhani AM, Ebrahimi SA, Mahmoodiani M. In vitro evaluation of human DNA topo isomerase I inhibition by peganum harmala and its beta carolin alkaloids. J. Pharm. Sci. 2002;5:19-23. 27. Zhao L, and Wink M. The b-carboline alkaloid harmine inhibits telomerase activity of MCF-7 cells by down-regulating hTERT mRNA expression accompanied by an accelerated senescent phenotype. peerj. 2013;174.